On This Day in Def Leppard History - 16th January, the following concerts and events took place. 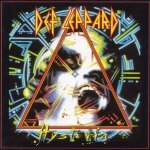 Including the first show of 1988 in Richmond, VA during the US leg of the Hysteria tour. This was the first visit to the city since June 1983 on the Pyromania tour. Also on this day in 2000 the band returned to Colorado Springs, CO for the first time since October 1981. As of 2016, Def Leppard have played 2 times on this date.